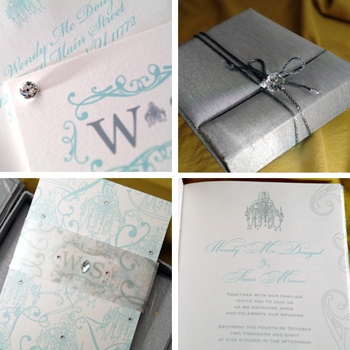 I am always asked "how can I make my invitations special, different, and stylish?" Well Lela New York offers a variety of luxury and unique wedding invitations. 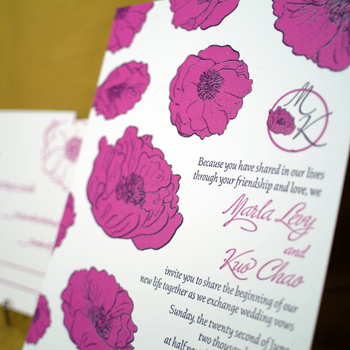 Lela New York can custom design your wedding invitations shape and style to fit your wedding. I always suggest bringing any pictures of a brides wedding decor or her wedding dress, flowers and brides maids dresses for inspiration. All of these can be incorporated in a couture wedding invitation designed exclusively for you. 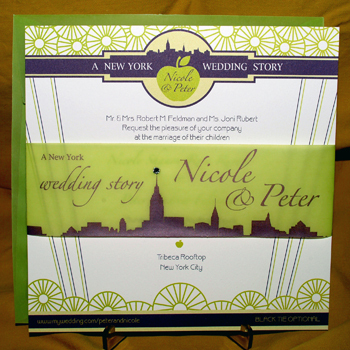 Lela New York also offers a unique wedding invitations style and shape menu where you can choose from an already designed invitation shape and have Lela New York design custom graphics and logos to go with your wedding theme and colors. 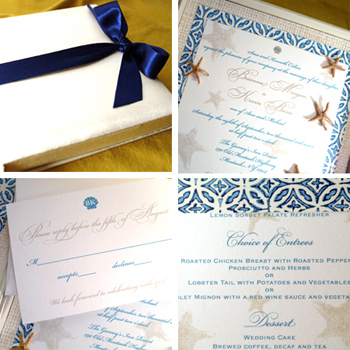 It is a great jumping off point for your custom designed wedding invitations. 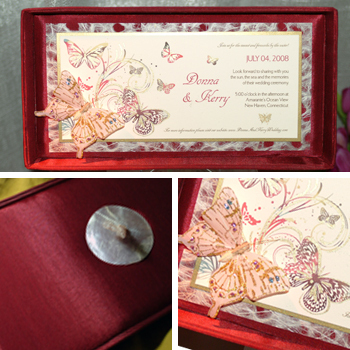 From silk box invitations to classic shapes and designs, there is something for everybody. Lela New York will also be happy to finish your couture suite by designing stationery including your menus, programs, table cards, and thank you notes. These little extras will give a coordinating cohesive look to your wedding decor and theme and will be sure to leave a lasting impression. To read more about Lela New York visit us here. We wanted to share this wonderful invitation designer with you who offers such beautiful designs with the prettiest little details, Lela New York! Lela New York offers a wide range of different styles and possibilities. From silk boxed sets, hand drawn artwork, to beautiful letterpress, there is something for everybody...just look at some of these fabulous designs! Be sure to stop by Lela New York today and view their entire portfolio and blog! You all keep asking so here it is. The inspiration board that I created for the "Pretty in Pink" invitations. Lela New York creates an inspiration board as a way to brain storm ideas to design a clients custom wedding invitations. From here we can pick and choose elements that we want to use in the design of the weeding invitation. This particular wedding was in New York and we used the bride's beautiful couture wedding dress by Pnina Tornai for the inspiration of the graphics on the invitation. I hand drew the lace detail that was printed on the custom invitation in silver and pink. I loved the finish piece and Sky did too!